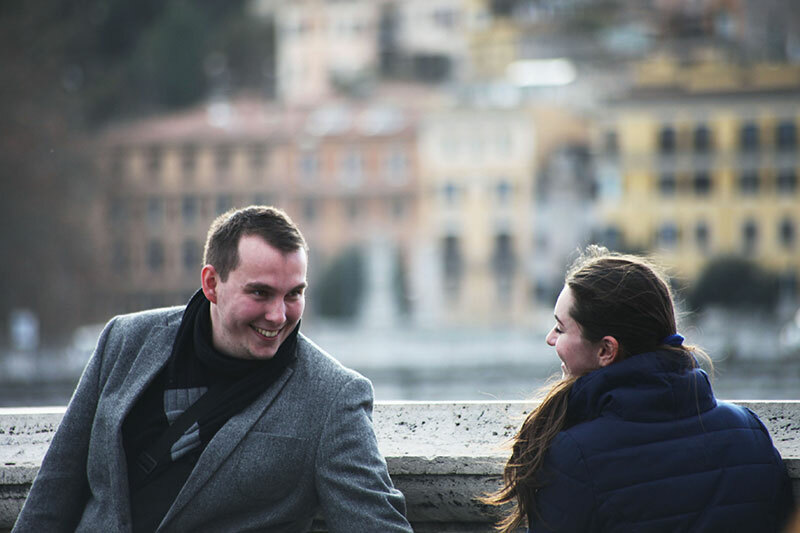 David contacted us from Slovakia, saying he wanted us to be there to photograph him with his soon-to-be fiancèe Mary, the second he proposed to her in the most romantic city in the world. 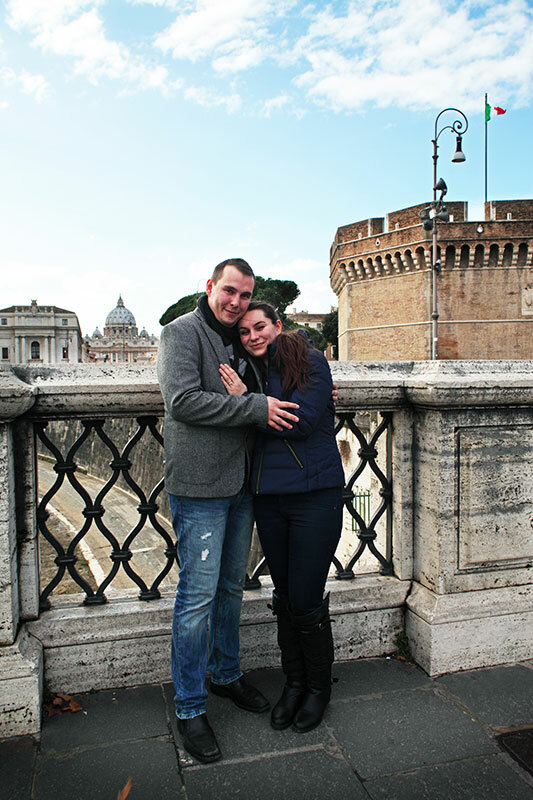 We organized with him the location and sent him photographs of where we would hide and where he would stand to propose. 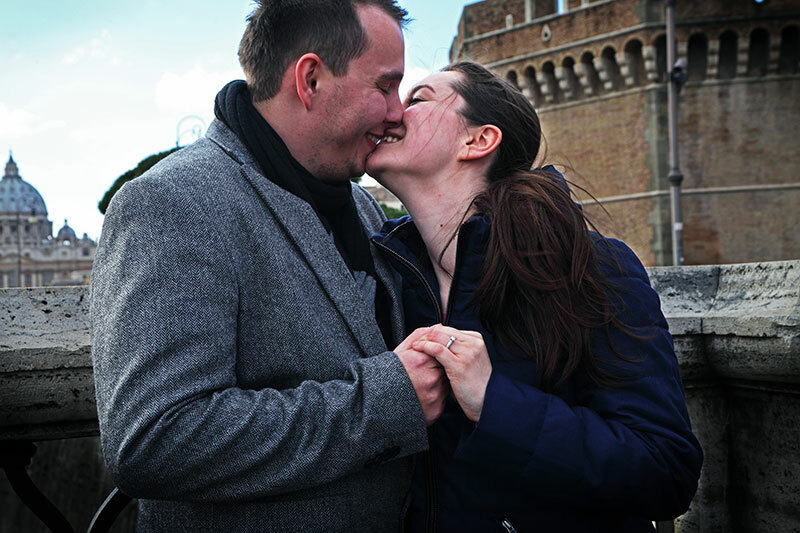 3 of us were in place to catch every single moment of this special event! 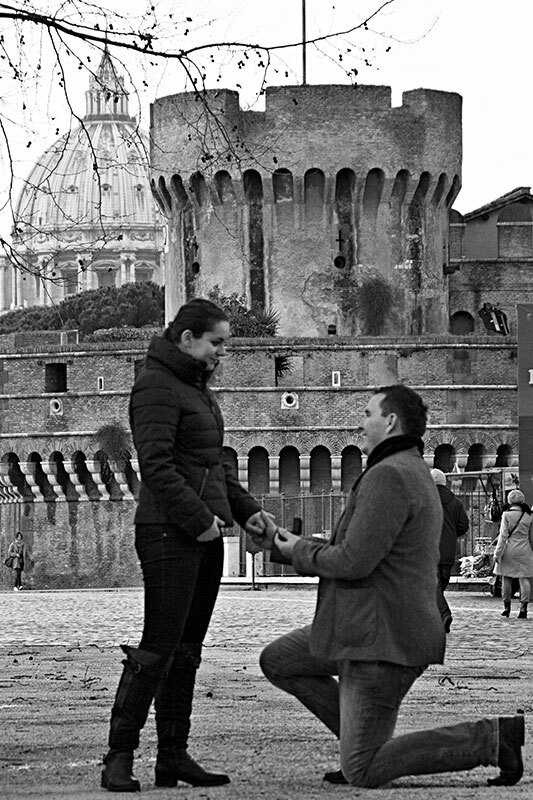 We hid and documented the nervous and exciting moments in which he arrived and proposed to Mary…..
After he proposed and she (of course) accepted, we came out of our hiding, stood next to them, and he asked us if we could take pictures of them with the ring and all… Mary was completely oblivious to the fact that we had planned everything together! 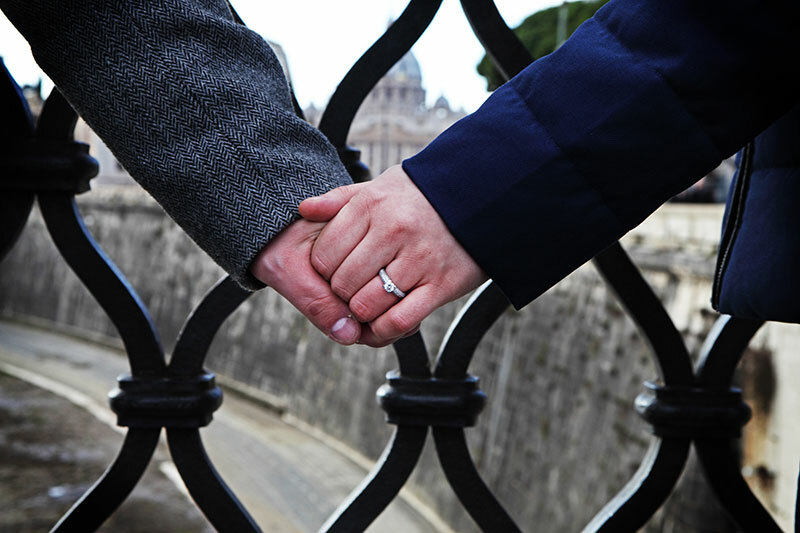 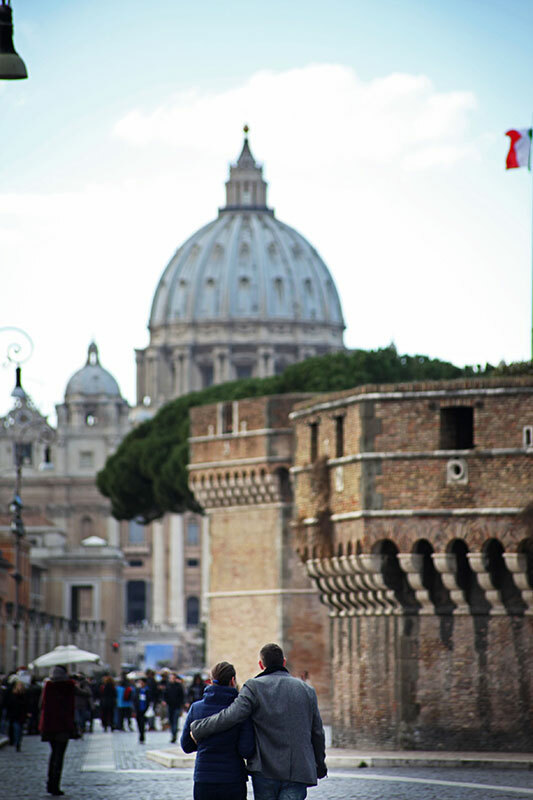 We took pictures of them on the Bridge of Angels with St. Peters and Castel Sant’Angelo in the background…. 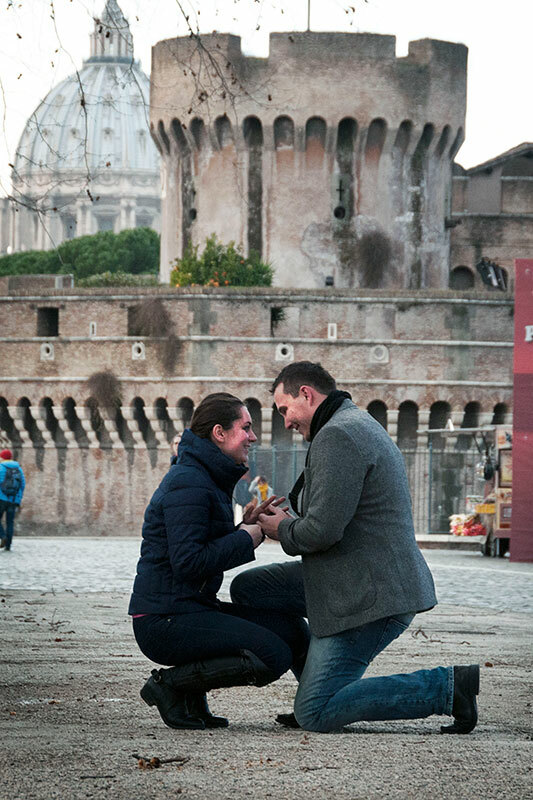 Mary only found out the truth and saw the pictures of the proposal on the day of their wedding! 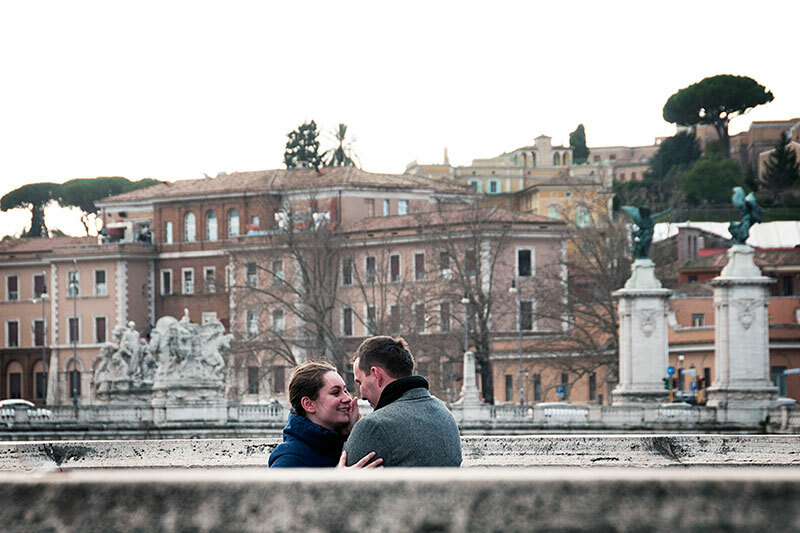 For them Rome will always, truly be synonymous with Romance!